Trump's Immigration Plans: How Realistic Are They? Trump's Immigration Plans: How Realistic Are They? 10. No Winner for October 2016 Immigration Trivia Quiz! Could Trump Deport Millions of Unauthorized Immigrants? Donald Trump, in his campaign speeches vowed to deport over 11 million illegal immigrants. After being elected, he reduced the number to 2 to 3 million criminals. President Obama has already deported over 2 million people, most of them for criminal offenses. The New York Times reported, on November 29, the problems President Trump would face in trying to deport millions of people from our country. New Visa Update System for Chinese Travelers – Effective November 29, Chinese nationals holding a 10 year B-1/B-2, B-1 or B-2 visitor visa must enroll in the Electronic Visa Update System (EVUS) before traveling to the United States for business or tourism. Supreme Appears Divided in Key Immigration Case – On November 30, the US Supreme Court heard oral arguments in Johnson v. Rodriguez, a case in which the US Court of Appeals for the 9th Circuit held that a person detained by the government in “mandatory detention” has a right to a bond hearing after being incarcerated for 6 months or more. The plaintiff in the lawsuit was held in detention for 3 years. The Justices appeared to be split 4-4 regarding whether there was limit as to how long the government could detain an immigrant who had recently crossed the border or had been convicted of a criminal offense. USCIS Filing Fee Increase – The USCIS has announced that it will be increasing the filing fees for numerous immigration benefits, some by over 100%. The new fees take effect on December 23. USCIS Ombudsman 6th Annual Conference – The Department of Homeland Security invites you to join the Office of Citizenship and Immigration Services Ombudsman for their annual conference on December 6, 2016 from 8:30am to 4:30pm. The conference will host panels from a variety of different topics including the following: Challenges to improve immigration, labor issues and temporary workers, provisional immigrant waivers, naturalization for special populations, and others. The event will be held at the National Archives in Washington D.C.
Time to buckle your seat belts! Donald Trump is scheduled to become President of the United States on January 20, 2017. Since immigration was one of the signature issues in his campaign, many changes in immigration laws and policies can be expected once he is inaugurated. Laws must be enacted by Congress and signed by the President, but there are many changes that can be done by Presidential decree. I will be giving a number of seminars in January devoted to what type of actions are likely to take place in the immigration world during President Trump’s first 100 days in office. Candidate Trump pledged to keep “immigration levels within historic norms”. To many of his supporters, this means reducing the number of persons permitted to immigrate to the US by up to 50%. To do so, most of the family-based immigrant categories would be abolished. What would happen to those currently waiting in line to reunite with their families in the US? Only time will tell. 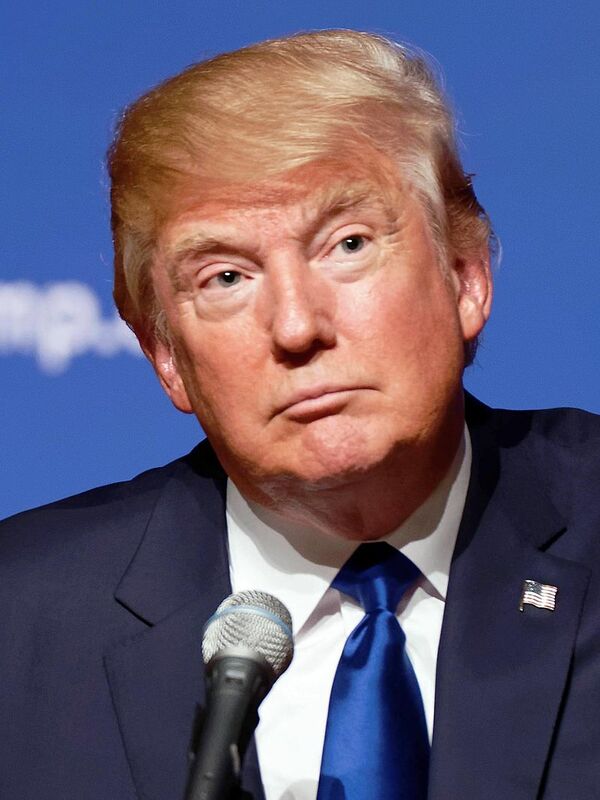 Candidate Trump stated that he would either withdraw or renegotiate the NAFTA treaty. A withdrawal could invalidate the legal status of tens of thousands of TN professionals working in the US. Regarding the H-1B program, Trump may ask Congress to amend the law to require employers to demonstrate that they cannot find a US worker to fill a particular job before they can sponsor a foreign-born professional for an H-1B visa. He may also cancel the ability of H-4 spouses to work in the US. We will write more about Trump’s plans to reduce legal immigration to the United States in our January 2017 newsletter. In the meantime, persons with temporary work visas who wish to become permanent residents may wish to start that process now. And green card holders may want to apply for US citizenship as soon as possible. One of candidate Trump’s most quoted statements was that he was going to build an “impenetrable physical wall” along our almost 2,000-mile border with Mexico and that the Mexican government would pay for the wall. Estimates of the cost of such a project range up to $20 billion or more. So far, Mexico has not agreed to pick up the tab. And Trump has pledged to cut taxes, so where would the money come from to build the wall? Shortly after being elected, Trump clarified that in some areas a “fence” rather than a wall would be acceptable to him. That would definitely bring down the cost. If he hires a few thousand undocumented workers to do the fencing, this would bring down the cost even further. As a candidate, Trump promised to immediately deport 11 million persons present in the US without legal immigration status. It was unknown how he planned to locate these persons, overcome laws guaranteeing those hearings before Immigration Judges and how he would pay for this. However, after the election, Trump shifted his stance and started talking about deporting 2-3 million criminal aliens. This is a highly inflated number unless he is talking about deporting people with green cards who were convicted of minor crimes like driving without a license. President Obama was called the “deporter-in-chief” for deporting more criminals and frequent border-crossers than any President in history, well over 2,500,000 people. Despite this, Trump wants us to believe that the Administration has been too soft when it comes to deporting criminals. Whether President Trump would seek to separate immigrants from their US citizen or permanent resident spouses, parents and children by deporting persons convicted years ago of minor crimes remains to be seen. If so, he would need Congress to change existing immigration laws. Candidate Trump also promised to dramatically increase the number of ICE and CBP officers. Again, it will be interesting to see where the money comes from to pay their salaries. Huge layoffs at the EPA? President Obama’s Executive Orders to expand the DACA program and give work permits to certain parents of US citizens (DAPA) were enjoined by the Federal Courts. President Trump will rescind both Executive Orders, probably in his first week in office. Whether he will end the existing DACA program remains to be seen. Candidate Trump called for banning all Muslims from entering the US and for a database to track Muslims already in the US. Now, the President-Elect seems to be pursuing a program which essentially reinstates the NSEERS (National Security Entry-Exit System) which was used after 9/11 to fingerprint, photograph and sometimes interrogate men from Muslim-majority countries. In addition, he would end the admission of Syrian refugees to the US. Trump calls for cutting off federal funding to sanctuary cities, ending catch-and-release policies, prohibiting immigration from countries which refuse to accept persons deported from the US, the establishment of a biometric entry-exit tracking system at all land, sea and airports and much more. His choices for important posts in the government related to immigration policy are persons with strong anti-immigration positions. A case in point is Senator Jeff Sessions (R-Alabama) who is Trump’s choice for Attorney General. Senator Sessions has been one of the most vigorous opponents of immigration reform in the Senate. In any case, brace yourselves for drastic changes in immigration laws and procedures in the near future. On November 18, the USCIS published a new regulation which implements agency guidance which assists persons in E, H-1B, L-1 and O-1 status and their employers. This long overdue regulation which will become effective on January 17, 2017 codifies government memos relating to the American Competitiveness and Workforce Improvement Act (ACWIA) and the American Competitiveness in the Twenty-First Century Act (AC21), both of which were signed into law over 15 years ago. Persons with approved I-140s who changed employers always ran the risk of losing their EB priority dates if they changed jobs and their old employers decided to withdraw their visa petitions. No longer. If a former employer either ceases to exist or withdraws an I-140 petition which has been approved for 180 days or more, the employee will still retain the old priority date in the absence of fraud or governmental error in approving the PERM application or the I-140. A person can still qualify for a 3-year post-6th year H-1B extension even if his approved I-140 petition was withdrawn more than 180 days after approval in the absence of fraud or revocation of his PERM application. Post-6th year H-1B extensions will continue to be available even to persons not presently in H-1B status. However, 1-year post-6th year H-1B extensions will not be available to a person who fails to apply for adjustment of status or an immigrant visa within 1 year of when he/she became eligible to do so. Also, a 1-year post-6th year H-1B extension will not be available where the person’s PERM application or I-140 petition has been denied/revoked, or where an I-485 or immigrant visa has been approved or denied. Nonimmigrant E, H-4 and L-2 EAD applicants will not be eligible for automatic EAD extensions. Caveat: The regulation eliminates the rule that the USCIS must adjudicate requests for EADs within 90 days, a time limit that the agency has been unable to comply with. The USCIS will now allow persons to apply for EAD extensions up to 180 days (up from the present 120 days) prior to the expiration of their current EADs. EAD extensions are possible, but only in limited circumstances and in one-year increments. Kudos to the USCIS for finally establishing a rule that clarifies the answer to a question that I have been asked thousands of times during the past 4 decades! The new rule establishes a 60-day grace period for those in E, H-1B, H-1B1, L-1, O-1 and TN status and their family members to change employers, extend their status or change their status. They may do this only one time during each validity period of their present status. The rule also establishes 2 grace periods of up to 10 days for persons in the E-1, E-2, E-3, L-1, and TN status to provide a reasonable amount of time for them to prepare to begin employment in the US and to depart the US or take other actions to extend, change or otherwise maintain their lawful status. Persons in H-1B, O and P status already have 10-day grace periods. What Will the Next President Do? President-Elect Trump will be inaugurated 3 days after this regulation becomes effective. Will he make significant changes to this rule? We promise to keep you updated on this in future issues of our newsletter. The worldwide EB-1, EB-2, EB-4 and EB-5 numbers will all remain current (no backlogs) in December. EB-3 will remain frozen at July 1, 2016. China EB-2 and EB-3 will both advance over 2 months in December, while China EB-5 will move forward by 2 weeks. India EB-2 will sprint ahead 3 months while EB-3 will inch forward by 1 week. Philippines EB-3 will advance by 2 months while Mexico EB-4 will retrogress from current to a 17-month backlog. Each of the worldwide family-based preference categories will advance between 3 and 5 weeks in December. FB-4 (brothers and sisters of US citizens) will move forward 8 weeks for China and 6 weeks for India. The family-based categories will inch forward for persons born in Mexico and the Philippines. Mexico FB-4 will fail to advance. The State Department predicts that India EB-2 will continue to advance up to 4 months each Visa Bulletin and that China EB-2 will move forward by 3 months. The demand for EB-3 numbers could slow down the forward worldwide movement in the coming fiscal year. India will continue to inch forward by only one week per month (Time to get rid of per-country quotas!). However, China will advance by 3 months at a time and EB-3 Philippines could also see significant advances. The family-based categories are all severely backlogged and any forward movement will be incremental. A client was turned away at the Port of Entry near San Ysidro, California and given a “Notice to Alien Ordered Removed/Departure Verification”. This Notice informed her that she was subject to a five-year ban from returning to the United States. She called our office from Mexico to ask whether we could help her return to the United States or at least overcome the five-year ban. Historically, an immigration inspector has the authority to turn away any alien at the airport or land border if the inspector believes that the alien is inadmissible for any reason. Prior to 1996, an alien could request a hearing with an Immigration Judge to challenge the inspector’s determination. However, Congress changed the law to make the immigration inspector’s determination final and eliminated the right to see an Immigration Judge except under limited circumstances such as a claim for asylum. Even though the regulations do not set forth a procedure to appeal the inspector’s determination, we decided to ask the Port Director to review the determination after we studied the circumstances surrounding our client’s contact with the inspector. In addition to the Notice to Alien, the inspector had given our client a copy of her signed Sworn Question and Answer Statement. In every case, the inspector is required to take a written statement from an alien before refusing admission. The inspector is required to give a copy of this statement to the alien. Upon reviewing the sworn statement with the client, we realized that certain facts were not known to the inspector which we believed might change the outcome. Our client had been in the USA for a few months on a B-2 visitor’s visa. She decided to visit Tijuana for the day. While in Tijuana she drank too much and was inebriated at the time she tried to return to this country. When she attempted to reenter the United States, she told the immigration inspector that she was a U.S. citizen. As she was drunk, she was not able to speak English coherently and upon further questioning, the inspector learned that she was not a citizen. The inspector excluded our client for making a false claim to U.S. citizenship. The sworn statement indicated that our client was intoxicated. Her friends provided affidavits, photographs, and restaurant receipts which we submitted with our legal brief to the Port Director for reconsideration of the exclusion order. The Port Director agreed with our argument that our client did not knowingly make a false statement and reversed the five-year ban. She was allowed to reenter the United States a few weeks after we contacted the Port Director. Every case is different, so this favorable outcome might not occur for any particular individual. What is important is that the client and the attorney have a frank discussion of what was said and the circumstances of the interrogation so that a proper evaluation may be made whether to proceed with any challenge. The USCIS has developed a new I-9 form that employers must use after January 21, 2017. However, employers may choose to use the new I-9 form immediately if they wish. The new form has an expiration date of August 31, 2019. The new I-9 form can be downloaded using Adobe Reader. The new form has a blue question mark within a blue circle on each field. Clicking on the blue question mark allows the employee and the employer to access information regarding the instructions for completing the form as well as the meaning of various terms. The form also has self-correcting features which are quite helpful. For example, in Section 1, if an employee checks that she is a lawful permanent resident of the US, the form only allows her to type 7 to 9 numbers, and the letter A is automatically inserted before these numbers. Once an employee checks a box indicating her immigration status in the US, “N/A” is automatically filled in for all alternate statuses. Employers should bear in mind that the form must be printed out and signed by the employee and a representative of the employer. Employers who use E-Verify must retype the information on the form into E-Verify. Validations on certain fields to ensure information is entered correctly. The form will validate the correct number of digits for a Social Security number or an expiration date on an identity document, for example. Embedded instructions for completing each field. Buttons that will allow users to access the instructions electronically, print the form and clear the form to start over. The requirement that workers provide only other last names used in Section 1, rather than all other names used. This is to avoid possible discrimination issues and to protect the privacy of transgender and other individuals who have changed their first names. The removal of the requirement that immigrants authorized to work provide both their Form I-94 number and foreign passport information in Section 1. A new “Citizenship/Immigration Status” field at the top of section 2. A dedicated area to enter additional information that employers are currently required to notate in the margins of the form, such as TPS and OPT extensions. A quick-response matrix barcode, or QR code, that generates once the form is printed that can be used to streamline enforcement audits. * Separate instructions from the form. Employers are still required to present the instructions to the employee completing the form.